Samsung Electronics said it has launched the Galaxy Tab E – its best in class affordable tablet in the region. The latest device is targeted towards customers seeking top-quality tablet performance and design at a competitive price, said a statement from the company. 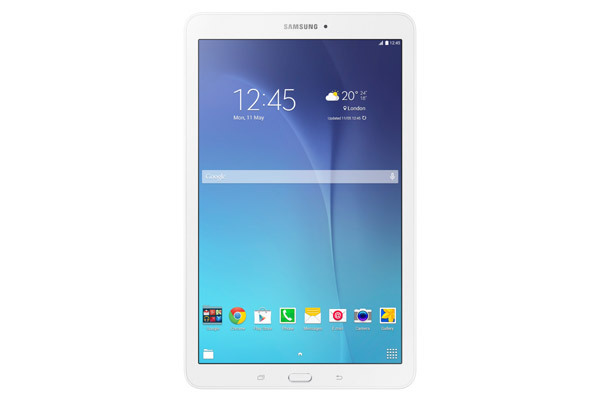 The Galaxy Tab E delivers advanced multi-tasking capabilities through multi-window, and sports a 5-megapixel autofocus rear camera, and a 2-megapixel front-facing camera. It comes with 8GB of built-in storage, and incorporates expandable memory of up to 128GB via microSD card, the statement added. According to Samsung, the education sector accounted for 10.3 per cent of all tablets shipped to the Middle East during Q1 and Q2 of 2014. In order to also cater to this segment, the device comes with a ‘Kids Mode’ capability, which features a children-friendly graphic user interface that simplifies applications and makes them visually stimulating for the young users, said the company in a statement.